Following Liverpool Football Club has been an important part of my life since I was a kid. Even before I set foot in the old Boys Pen at the Kop end I was mad about the Reds. I don’t know why, as we were so frustrating in the old pre-Shankly Division 2 days. Note to younger LFC fans – there was no Premier League then just Divisions 1 and 2 plus Division 3 North and South. The ‘Pool were frustrating because we always seemed to fade away at the end of a season when earlier in the season we were so well placed to gain promotion to Division 1. We had Billy Liddell a Liverpool legend and he deserved to play with the best for LFC in the top division. I like many of my fellow Reds’ fans also deserved some respite from the Everton fans constantly reminding us of our inferior status! Then Shankly arrived and changed the club out of all recognition laying down the foundations to establish Liverpool as one of the most famous football clubs in Britain, Europe and worldwide. That not only hushed the Bluenoses but completely overshadowed Manchester United until Sir Alex made good his promise to knock us off our effin’ perch! Jurgen Klopp has now arrived to try to bring back the European glory years but primarily the league title which (whisper it) we haven’t won since 1989-90. No wonder fans of the nouveau riche rival clubs mock our penchant for history! Klopp’s awareness of our history showed when he likened that past to carrying it around “like a 20kg backpack.” Klopp will no doubt mould Liverpool’s playing style on the pitch to mirror that of Dortmund with a high pressing game, many sprints and shots on goal. It should be exciting to watch. The way Liverpool have played at the back end of last season and the start of this added to my “problems” rather than help me forget. I know it’s almost childish but seriously I don’t care if it is as I don’t wish to control every single emotion in my body. LFC playing the right way – “the Liverpool way” – with fight, spirit, high emotion and not a little skill gives me the “feel good factor.” That’s in my DNA. It is physically nigh impossible for me to get to Anfield these days being domiciled in the Philippines. Maybe that’s a good thing as the last few occasions I have been there on match day has always left me longing for the “good old days” in terms of the passion and noise from the home fans. It’s simply not good enough to ramp up the decibels and trot out all the famous anthems at full belt on European nights. If we really want that title we truly have to reinvent the fabled “12th man” and spur on those lads on the pitch to perform at 150%. Evans/Houllier – this won’t work! 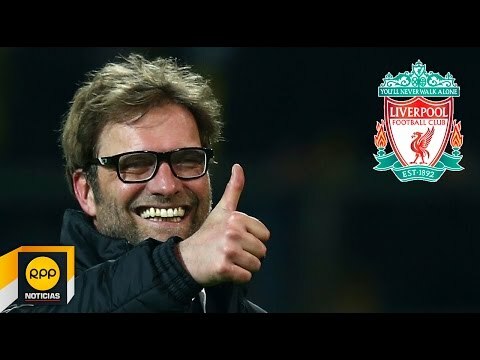 C’mon Jurgen deliver us that title and all will be Wunderbar and not just for 90 minutes!